FYI, "Fan's Choice" Team Name Voting will close at Midnight (Eastern) on Thursday February 14th. Afterward, the votes will be tabulated. They should be ready to be published on Saturday 16 February. We plan to publish the top vote-getters, the remainder, and even include the write-in votes. It should be comprehensive. Also, we will filter multiple votes from the same IP address (first vote by that IP will count). This will ensure the voting statistics aren't skewed by any individual voter. It should be a fair and even vote! If you haven't voted yet, the link above will work until Thursday! We do not expect the league to make their decisions based on our poll. However, the league should always take notice of what the fans have to say about the matter! We did this in 2000, leading up to the 2001 season and it was a lot of fun! We did the voting differently this time, utilizing two rounds of voting. It looks like there has been good uptake in this years voting, with over 2000 unique votes for some XFL cities. We want to tabulate the results before the XFL releases their own team names. Also, we want to stop the voting prior to any "leakage" of the official team names. Other than leaks from XFL people in the know, once the league starts to register trademarks and setup a "named" web presence for each team, the web snoops will start to discover the names and leak them. This occurred in 2000, and it will likely happen again. Hopefully the names are good! 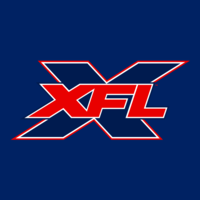 I fully expect the XFL to choose better names than 2000, and (generally) better than the AAF.